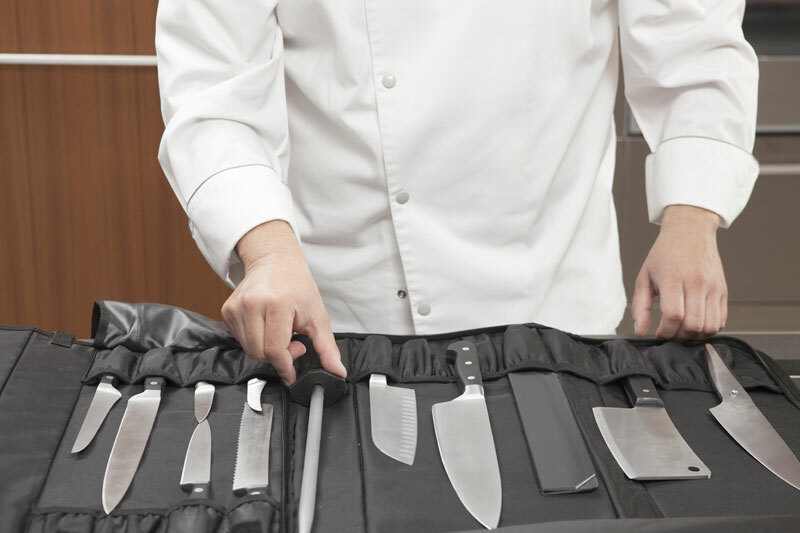 Set fit for reducing the technical time of cutting operations in kitchen and for preparing fish, meat or vegetables with perfect cuts and without difficulties. This set of 6 knives, 1 plier and a manual sharpener will make cutting, filleting, slicing or mincing stages become easy and quick processes. 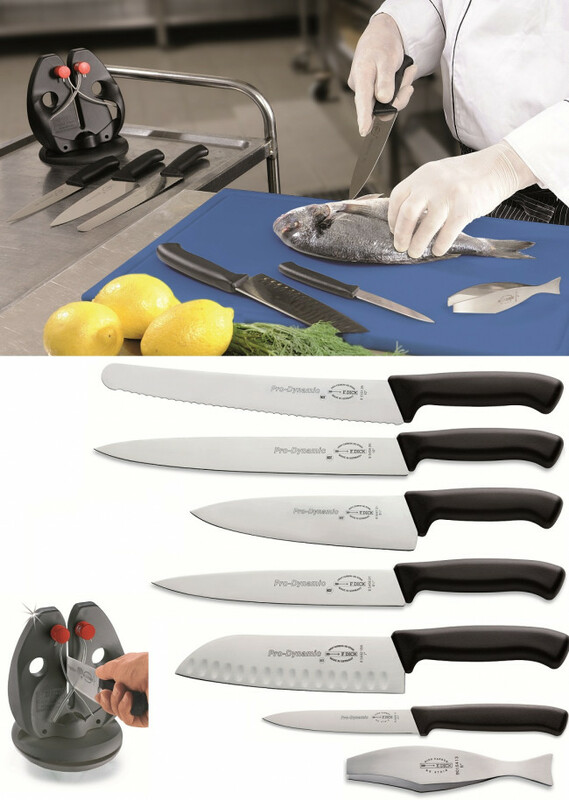 The Rapid Steel Action will allow the recovery of the edge of knives in any time, mainly when some difficulties arise during fish cleaning or filleting. 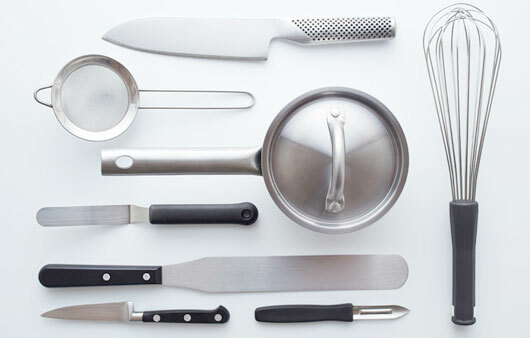 Cooking is an art and being able to prepare food with an easy cut will guarantee a QUICK and perfect result. -Toothed edge knife for bread-pastries 26 cm. High cook knife 21 cm. -Kitchen filleting knife 21 cm. -Santoku vegetable knife 18 cm. -Pliers to remove fish bones 13 cm.